According to Garda Recorded Crime Statistics non-fatal offences account for over eleven percent of all reported crime in Ireland with some 16,500 reported incidents in 2016 alone. 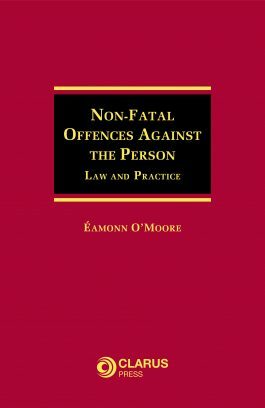 Non-Fatal Offences Against the Person: Law and Practice is the first dedicated book on this subject in Ireland. 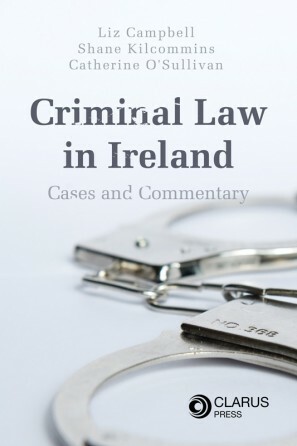 This book provides an in-depth analysis to the laws relating to non-fatal offences in Ireland, with detailed expert annotations of the Non-Fatal Offences against the Person Act 1997, the principal legislation governing the law in this area. 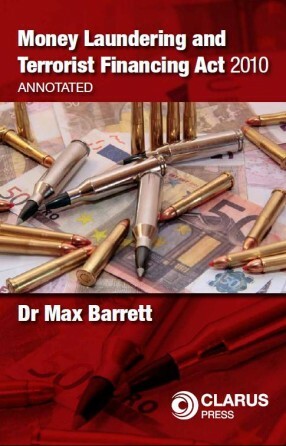 The author also considers the various offences created by the Act, including an in-depth analysis of the relevant case-law, necessary proofs and possible defence options. The work is fully updated and consolidates all changes and amendments made over the past two decades since the enactment of the 1997 Act. Non-Fatal Offences Against the Person: Law and Practice is an essential resource for all lawyers dealing with offences under the Non-Fatal Offences against the Person Act 1997. Éamonn O’Moore is a practising criminal law barrister. Non-Fatal Offences Against the Person: Law and Practice will be an essential resource for all legal practitioners who specialise in criminal law and related areas of practice. Academics, students and persons working in this field, such as members of An Garda Síochána, will also find this work invaluable.